Wow, if you need coconut oil, run over to Amazon where you can get a HUGE 54 oz. 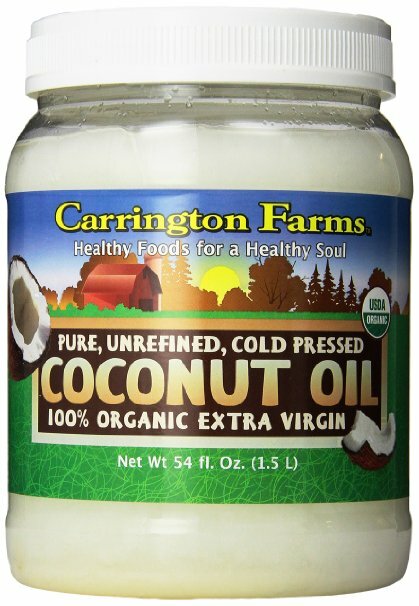 container of Carrington Farms organic, unrefined, extra virgin coconut oil for just $16.99! That’s like paying $4.40 for a regular 14 oz. jar, which is an amazing price for organic extra virgin coconut oil (14 oz. jars in the store usually go for $10+).